Petra Deker was born and raised in Southwest Germany with a strong concern for a balanced and natural lifestyle. Out of a desire to create the most suitable and holistic treatment for each person she works with, Petra has spent much of her life studying various approaches to health, healing, personal growth, and spirituality. She is an Advanced Energy Healing Practitioner, CranioSacral and Lymphatic Therapist, Reiki Master/Teacher, Certified Therapeutic Yoga Teacher, and Licensed Massage Therapist, with additional background in nutrition and spirituality. Petra also holds an M.A and M.S.W. from the University of Michigan, Ann Arbor, and has extensive background as a psychotherapist and teacher. "Petra has the gentle touch of a true healer. A session with her sweet spirit will completely relax and transform you." “I regularly receive Advanced Energy Healing/Spiritual Counseling, Chakra Balancing, Reiki, and Distance Healing treatments from Petra. I bless the day I found her as her work has raised my energetic resonance while improving my health and vitality. Petra is able to combine Spiritual Counseling and Energy Healing in a way that has propelled me forward like no other work. For each session, Petra is always able to bring the right combination of modalities for me from her extensive repertoire and trainings. She is extremely intuitive, very psychic, supportive, a good listener, and most compassionate. 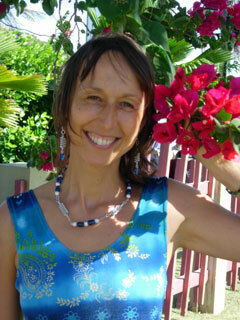 She is a world class healer doing truly amazing work." "Petra has a soothing, relaxing touch which makes every treatment special. Highly recommended!" Advanced Energy Healing: Works on the energy body to clear blockages, emotions, and thought forms, which could otherwise result in physical disease, emotional imbalance, or spiritual disconnection. It infuses the body with light, and is very balancing, strengthening, and grounding. Through working on the energy body, imbalances can be addressed where they originated, as opposed to merely treating the symptoms manifesting in our physical body. This is how deep healing and well-being can occur on all levels – the physical, emotional, mental, and spiritual. Core Emotional Healing: This very unique holistic approach combines my background as a psychotherapist with Advanced Energy Healing and Spirituality. My intention with this work is to support you on your path of deep healing, personal growth, and spiritual transformation, so that you may lead a life filled with joy, inner peace, and a sense of wholeness. Lympathic Therapy: A gentle whole-body treatment that helps in the removal of toxins and excess fluid from the lympathic system and thereby improves overall health, emotional balance, appearance, and relaxation. Blockages in this system can stem from environmental toxins, surgery, injuries, medication, poor diet, lack of exercise, stress, and many other factors. Conditions that can benefit from lymphatic therapy include low immunity, fatigue, edema, chronic pain, cellulitis, breast lumps, and hormone imbalances. In addition to moving the lymph manually, Petra uses a combination of Flower Essences particularly designed to assist in the break-up of blockages and movement of the lymph for even more benefit. Cranio-Sacral Therapy: Gentle holds, mostly in the cranial and sacral areas, are employed to facilitate the release of barriers and thus help restore the body's natural balance, calm emotions, improve ill health, and decrease tension, pain, headaches, and dizziness. Other conditions that can benefit from this treatment include endocrine disorders, birth trauma, TMJ, and vision problems. Cranio-Sacral therapy is based on the understanding that sutures between the cranial bones allow for a very slight movement of the bones in the skull; this movement is produced by cerebrospinal fluid circulating in the membrane that encases the cranial bones and connects the brain to the sacrum via the spinal column. Trauma, illness, etc. can interfere with the production and circulation of this fluid and with the free movement of the bones and affect the entire body. Nurturing Massage: A very soothing and relaxing gentle massage that combines the lusciousness of oil massage with Reiki, CranioSacral Therapy, Reflexology, and Advanced Energy Healing for deep restoration, balancing, clearing, healing, and nurturing of body, mind, and soul. Distance Healing: Many of the Advanced Energy Healing Techniques I offer, as well as Reiki, can be done as Distance Healing sessions for people across the entire United States. Distance Healing can also greatly benefit locals who are homebound or need additional healing in between regular in-person sessions. I also provide phone sessions in Spiritual Counseling, Guided Visualizations/Meditations for Healing, and Gem Consultations nationwide. Healing for Animals: The treatments I offer for animals include Reiki, Advanced Energy Healing, and Flower Essences; they can consist of Distance Healing or home visits. Depending on the animal and the particular issue the treatment is addressing, distance healing may be more beneficial than direct contact. Therapeutic Yoga: This deeply healing and balancing practice combines restorative and gentle yoga postures with hands-on healing, guided meditation, and breathwork. It is a form of yoga that can be practized even by those who are recovering from injury or illness, and can greatly assist in their healing process. Gemstone Therapy: Gemstones are one of the most powerful healing tools of energy medicine. I offer the use of gemstones in conjunction with Advanced Energy Healing and other healing sessions. Gemstone consultations are available to those who would like to find out which stone would be the most healing for their particular physical or emotional issue, or their life situation. Jewelry for Healing: Wearing gemstones as jewelry is one of the most potent and consistent ways to experience their therapeutic effects on body, mind, and spirit. “Jewelry for Healing” can be custom-designed for your particular needs. Each piece of jewelry undergoes various types of energetic treatments to further increase the natural healing properties of the stones, and to bring healing, beauty, peace, and joy to those wearing the piece. Reiki: The word Reiki comes from the Japanese and means Universal Life Force. Reiki is a very ancient healing system that was used in India and Tibet thousands of years ago. In Reiki sessions Petra places her hands over different areas of the body and activates a higher order of this life force to facilitate increased groundedness and balance, as well as body/mind/spirit healing. Chakra Balancing: Chakras are energy centers or vortexes through which energy enters and leaves the body. Blockages or malfunctioning of the chakras interfere with the body’s proper working and can lead to imbalance and dis-ease. Petra uses healing gemstones, music, and energywork to rebalance your system and induce an overall sense of peace and well-being. Petra combines her experience as a former teacher and as a Reiki Master with her enthusiasm for Reiki by offering individual and small-group Reiki instruction specifically tailored to your needs. Learn to Heal Yourself and Others! – Give Yourself the Gift of Reiki! and request to be put on the Oasis of Healing© mailing list.